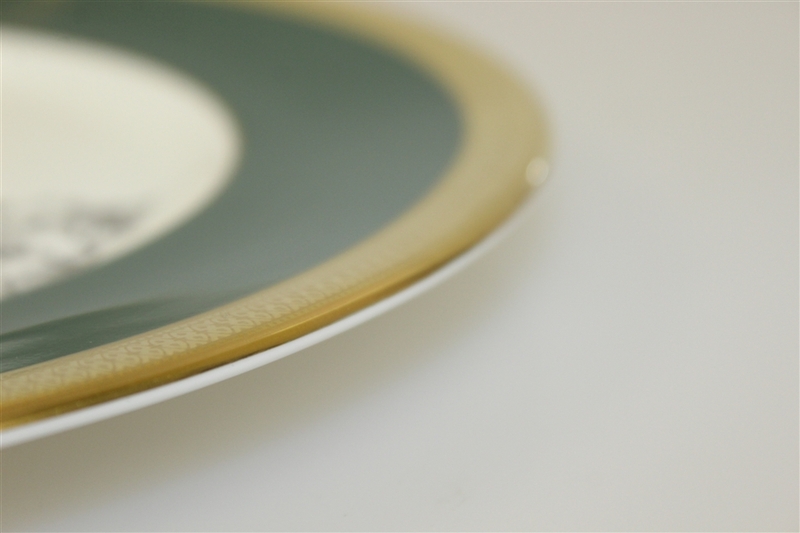 These highly sought after limited edition plates have proven difficult to find as a complete set, let alone with their original boxes to accompany them. 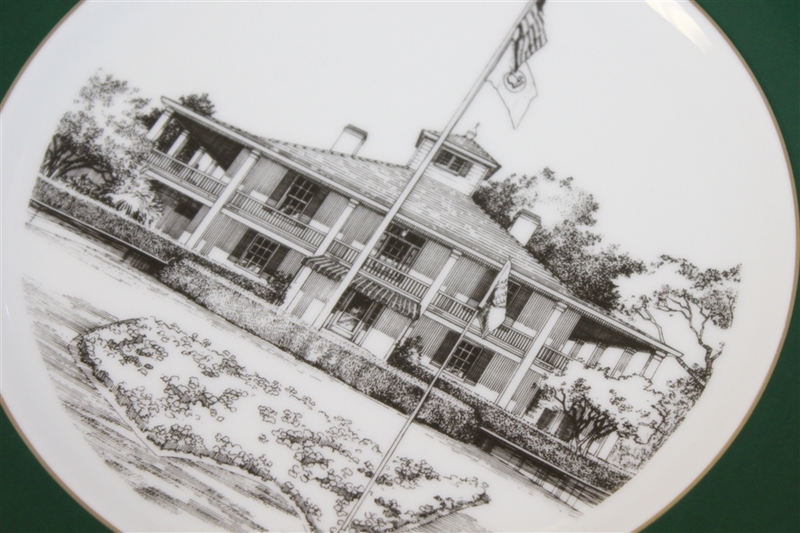 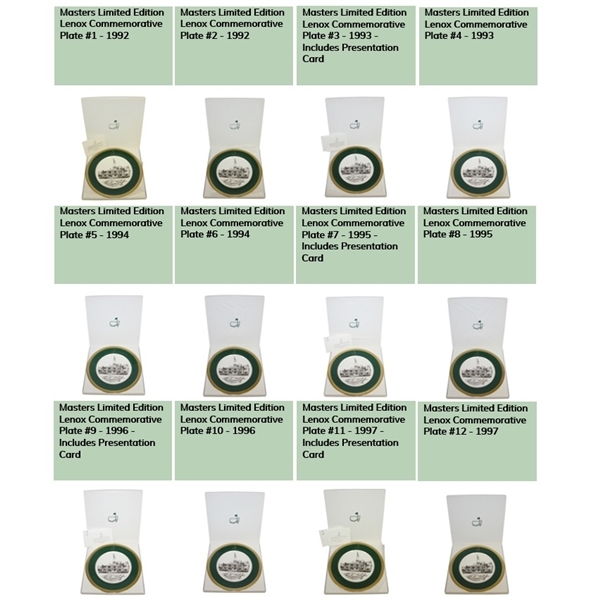 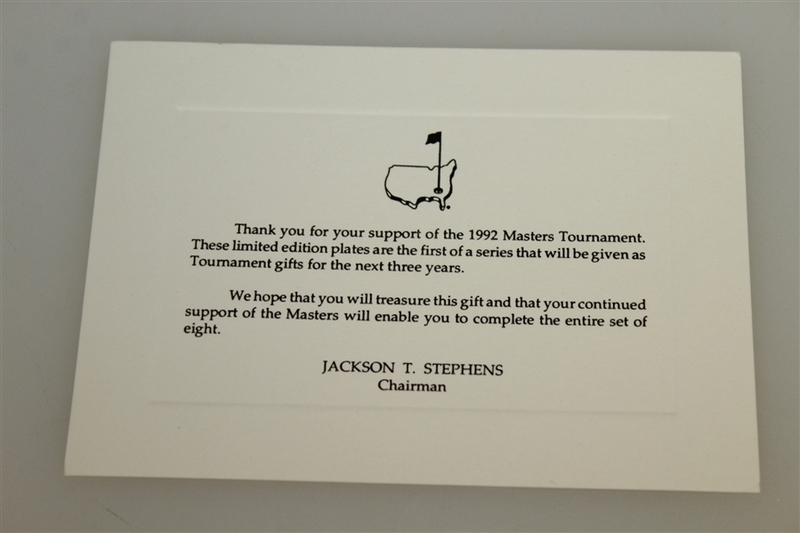 Augusta National Golf Club members' gifts are great for any golf collection, and now is your chance to acquire a complete set of plates in their original boxes along with a presentation card (select plates). 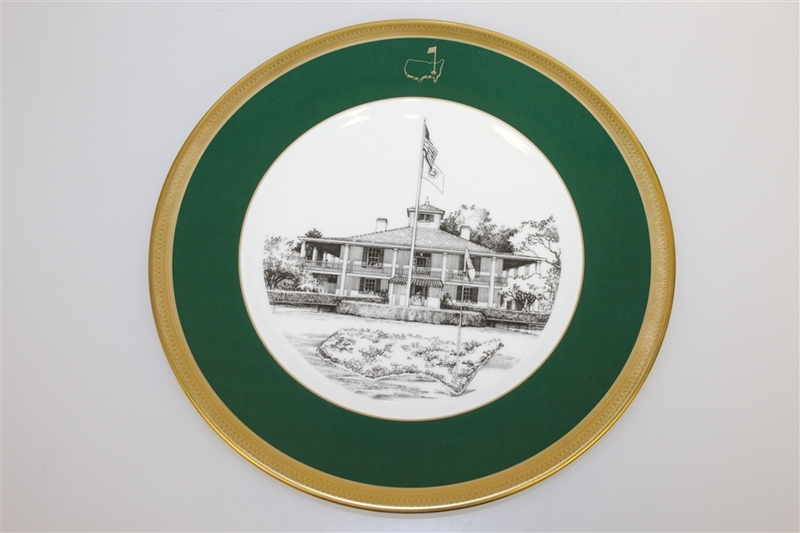 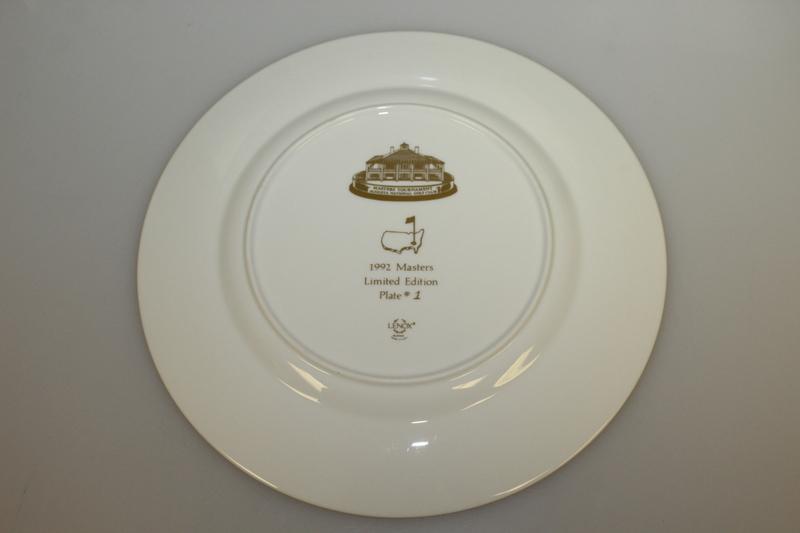 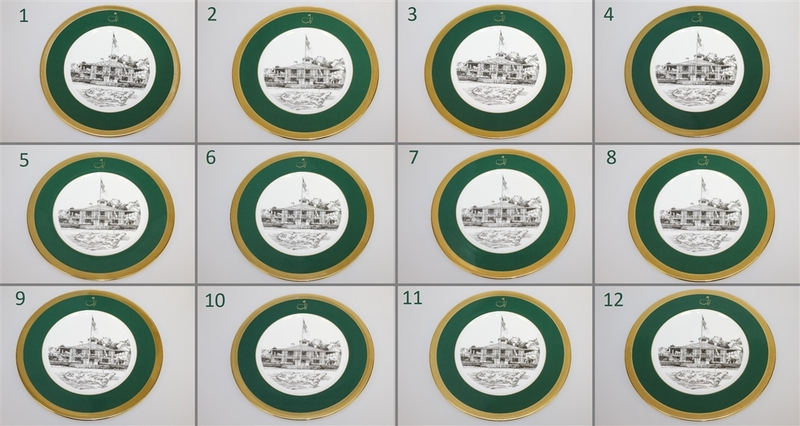 Each member of Augusta National Golf Club received 2 plates a year from 1992 to 1997, and plates were each numbered displaying the year it was produced on the back. 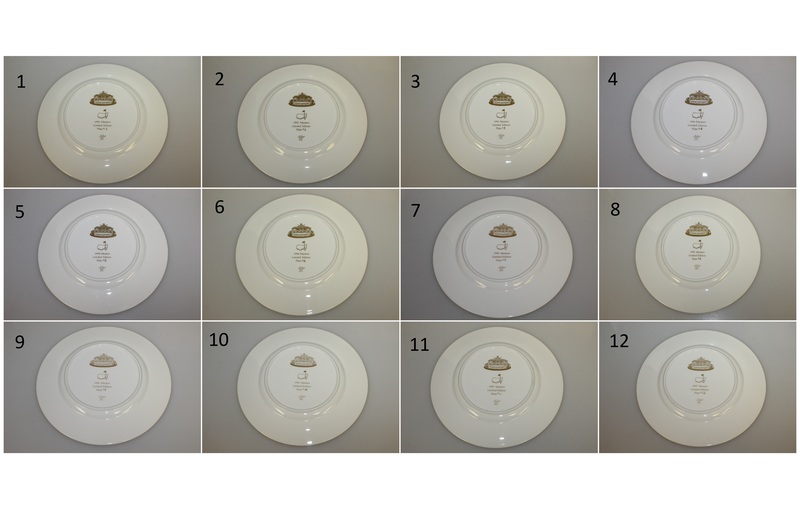 Each of these plates are in pristine condition and have only left their boxes to have their pictures taken. 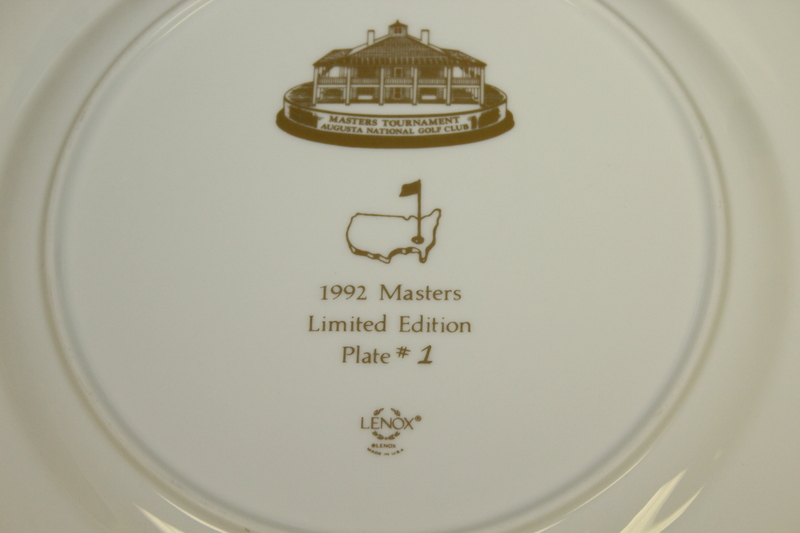 Not all original boxes are in the same great shape, some show wear. Please note that multiple photos of each plate are available upon request.